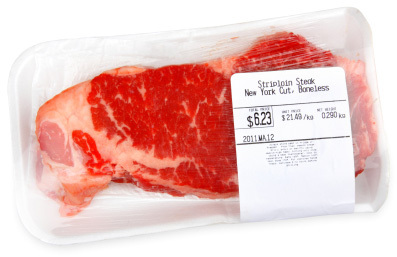 A new study has people talking about red meat and the effect eating it has on the body. Read on to see what a registered dietitian has to say on the subject. Harvard School of Public Health recently published a study linking red meat consumption to increased risk of premature death. The study, which observed over 120,000 men and women for more than 20 years, documented a combined total of 23,926 deaths. Of those deaths, 5,910 were caused by cardiovascular disease and 9,464 were from cancer. The increased risk of mortality associated with regular red meat consumption by the participants was 13 percent for one daily serving of unprocessed red meat and 20 percent for one daily serving of processed red meat. Researchers estimated that 7 to 9 percent of those deaths could have been prevented had the participants eaten less than 0.5 servings of red meat per day. The study suggests replacing a serving of red meat with a serving of a healthier protein associated with lower mortality risk, such as fish, poultry, nuts or grains. She recommends, as the study does, eating healthier proteins in place of red meat, and eating red meat no more than two to three times a week at most. Using the meat as an “extender” to the meal by adding small amounts to stews or casseroles keeps the portions very small and instead focuses on the other ingredients. Chemicals that increase cancer risk, such as heterocyclic amines (HCAs) and polycyclic aromatic hydrocarbons (PAHs), form when meat is cooked using high temperature methods, Rampolla says. Instead of pan frying or grilling over a direct flame, try trimming all excess fat to reduce flare-ups and cooking over a lower heat, discarding any charred pieces. While meat cooked for longer periods of time increases cancer risk, she notes that it is still important to cook it thoroughly. 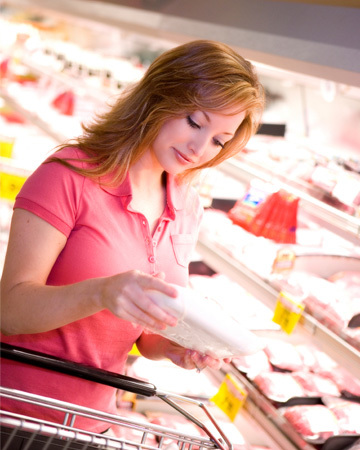 To avoid food-borne illness risks that are associated with undercooked meat, cooking to medium doneness is best. Even if you’ve eaten red meat your whole life, you can still make changes now that will benefit your health, including reducing your risk of premature death by up to 19 percent. “Small changes can have a big impact on your health, our public health outcomes (reducing health care costs) and environmental impacts,” Rampolla says.